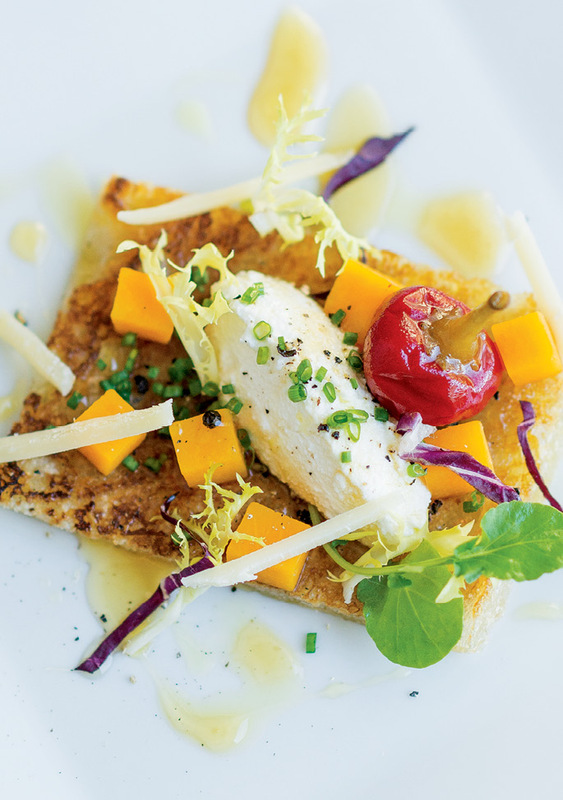 For Starters: Scattered greens, a pickled pepper, squash pieces, and shaved Pecorino add color and texture to Vedrinski’s winter squash and sheep’s milk ricotta bruschetta. The Good Stuff: Brown butter and extra Parmesan cheese up this pasta dish’s indulgence. 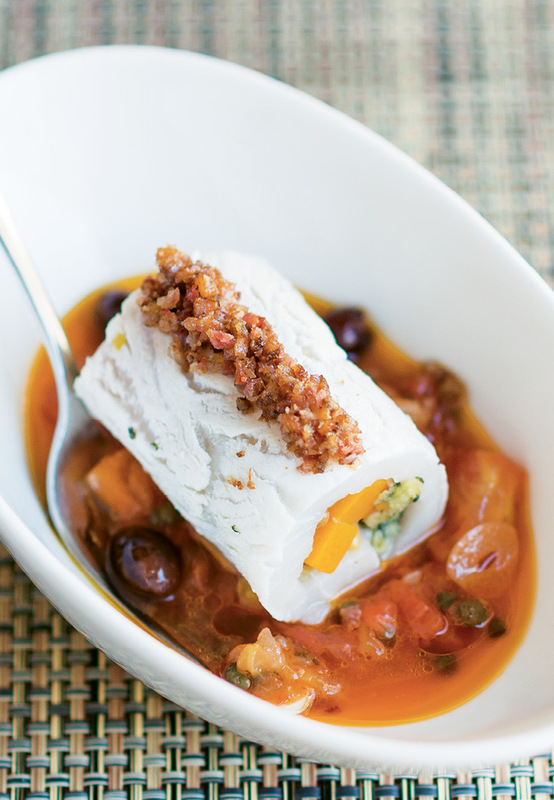 To Serve the Swordfish Braciole: Spoon some tomato mixture into a dish, add the braciole, and garnish with pancetta. First up is the chef’s antipasto, winter squash and sheep’s milk ricotta bruschetta—a mixture of succulent squash with rich and creamy ricotta, wildflower honey, and Pecorino cheese that’s delivered on warm, crusty ciabatta bread. A Tuscan dish of conchiglie pasta, butternut squash, Italian duck sausage, and spigarello makes a perfect primo, or first course. 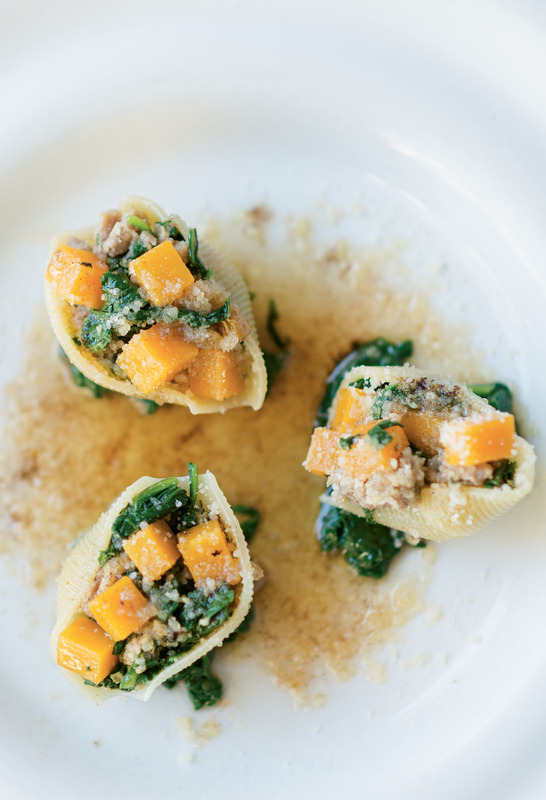 Fat pasta shells stuffed with a combination of winter squash, sausage, heirloom broccoli rabe, and Parmesan are finished with luscious simplicity: brown butter and a shower of more cheese. At Vedrinski’s oceanfront Coda Del Pesce, the secondo of swordfish and winter squash braciole would be a standout, as the chef takes a traditional meat dish and wraps the filling with fish. “The fat content and density of swordfish lends itself to the squash to create something with hearty elements perfect for cooler months,” he says. 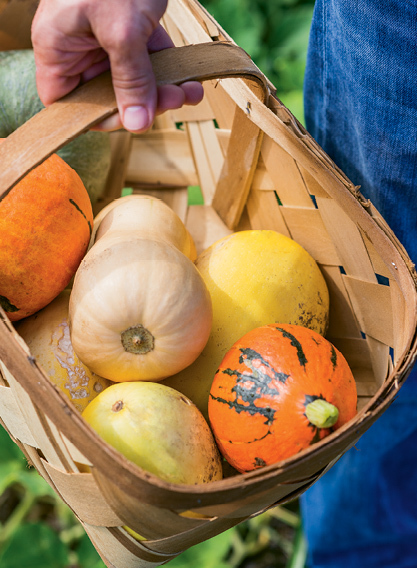 Harvested in late summer or early fall and requiring excellent drainage as well as low humidity (because it’s prone to rot and mildew), winter squash is not a native Lowcountry crop. Still, Vedrinski sourced varieties from Rosebank Farms proprietor Sidi Limehouse, one of few growers in the area. (Find Rosebank Farms produce at its John’s Island stand, at the John’s Island Farmers Market, or at rosebankfarms.com.) 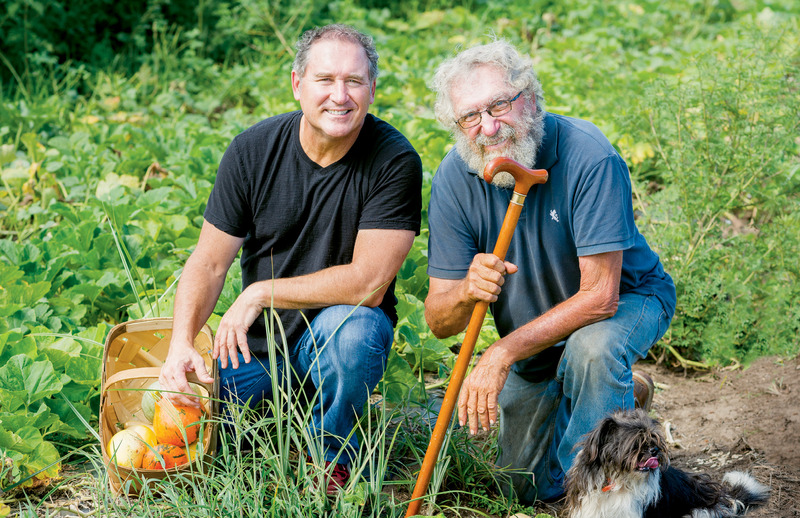 Look for squash that “feel heavy and solid, with unblemished skin and stems that aren’t dried out,” the chef advises. Store them in a cool, dry place, refrigerating them only after they are cut.